The chances are you’ll have either played or heard of the Sims franchise. With over 100 million units sold across the Globe, The Sims is the biggest PC franchise in history. For this third iteration in the strategic life-simulation series, the gameplay has evolved rather than changed drastically from its original format. 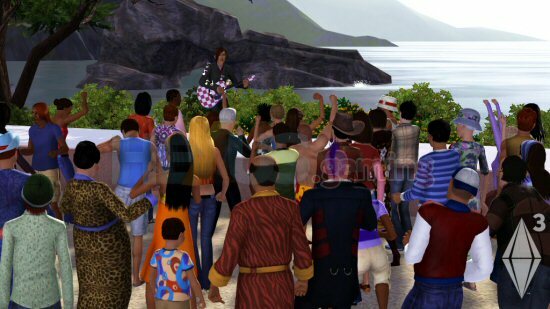 In The Sims 3 you can once again expect to follow the daily activities of one of more virtual persons across an open-world neighbourhood. With a wealth of possibilities at your fingertips, it’s up to you to shape the destiny of your characters by determining their traits and career paths, while forging plenty of relationships along the way. Essentially, you're tasked with micro-managing your virtual life in this colourful suburb, earning cash in the process and building your ideal home on your way to acheiving your ultimate life-time goal. The Sims 3 expands on previous iterations by offering a number of new features, including an expanded creation tool that allows you to extensively customize your Sim and in-game items, from wallpaper to floorboards. Buy and Build modes have been refined and a whole host of new community features have been added, including the ability to create movies and share them with friends. Sims fans can also look forward to public events that will take place in the neighbourhood, including pool parties and barbecues, as well as public protests and movie premieres. It’s The Sims as we know it, with even more to think about than ever before. Like previous games, you're only limited by your own creativity and the amount of time you're willing to invest in creating your virtual lifestyle.